SPECTACULAR VIEWS FROM THIS NEW WEAVERVILLE HOME WITH AN AMAZING DECK!!! Every time you step onto to your deck it will take your breath away! 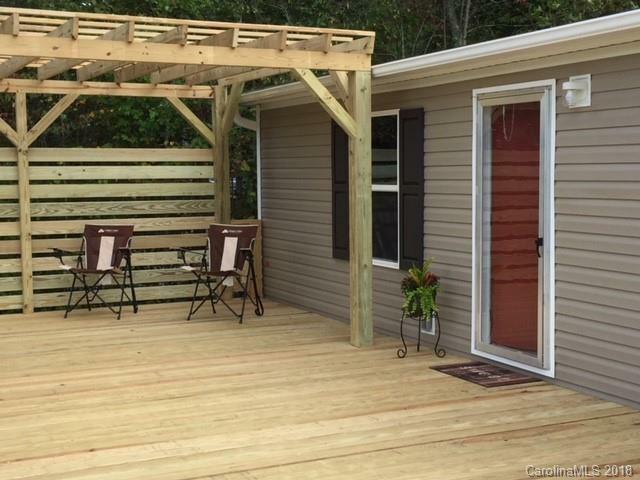 Brand new never lived in 2018 3 bedroom, 2 bath home on one level is move in ready. This home features an open floor plan and split bedroom plan. Enjoy this private 1.41 acre setting on the 1300+ wrap around deck made of welded wire and wood. The home has upgraded lighting fixtures, ceiling fans and kitchen faucet. The inviting kitchen has a new fridge, stove, dishwasher, kitchen island, upgraded vinyl tilt-in thermal pane windows, upgraded insulation, vinyl siding, shingle roof and 1 year warranty. This great home is on a private road with a recorded road maintenance agreement.